Had a few minutes to spare this evening, and spent it checking out the new Poppy collection by Coach. Usually, when I find myself too old for something, it makes me sad. 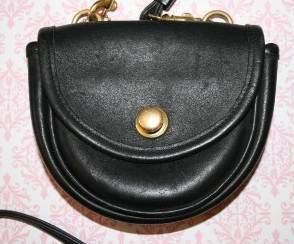 But I love the youthfulness and spirit of the Poppy line; in fact, it makes me happy to think of a young woman getting one of these bags for her birthday the way I received my (cherished and treasured) black half-moon-shaped-mini-belt-bag for mine. I read somewhere that the CEO describes Poppy as “eclectic and spontaneous,” which is definitely how I’d want to describe myself at that age. How fantastic are these colors? Incidentally, I’ve been noticing these two colors (teal/turquoise and fuschia/purple) in lots of textiles (and bedding ensembles) lately. Maybe it’s a marketing thing, or maybe it’s just SUMMER! Yay! Here are two of my new finds – one crib set and one duvet. They share the same fresh colors and cool prints. Not only is the crib bedding made from 100% organic cotton, the designs are block-printed by hand. And best of all, it’s on sale at the Pillow Mint shop. 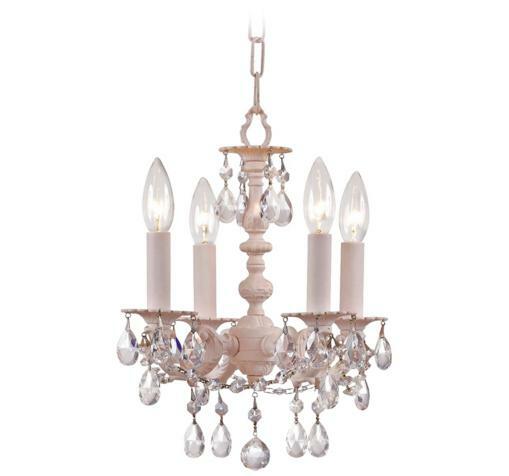 A soft and sophisticated design for a big girl room, the leaf motif is eye-catching but not too busy. 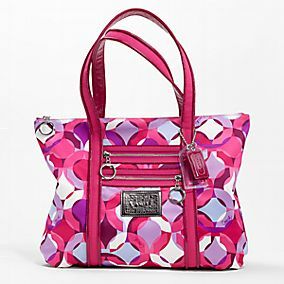 As with the handbag at top, it’d look great accompanied by silvers, pinks, and lavenders. 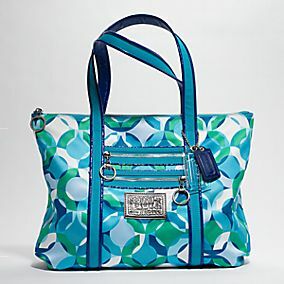 What colors remind you of summer? Let me know. Turns out, I’ve since received more information about her nursery, so I’ve sent Monica a different set of suggestions. If there’s interest, I’ll cover those in a later post. But for now, here are my favorites. In the interest of time (and sanity), I’ll attach the links but haven’t gone through the discipline of posting prices. Needless to say, prices vary by size and style. 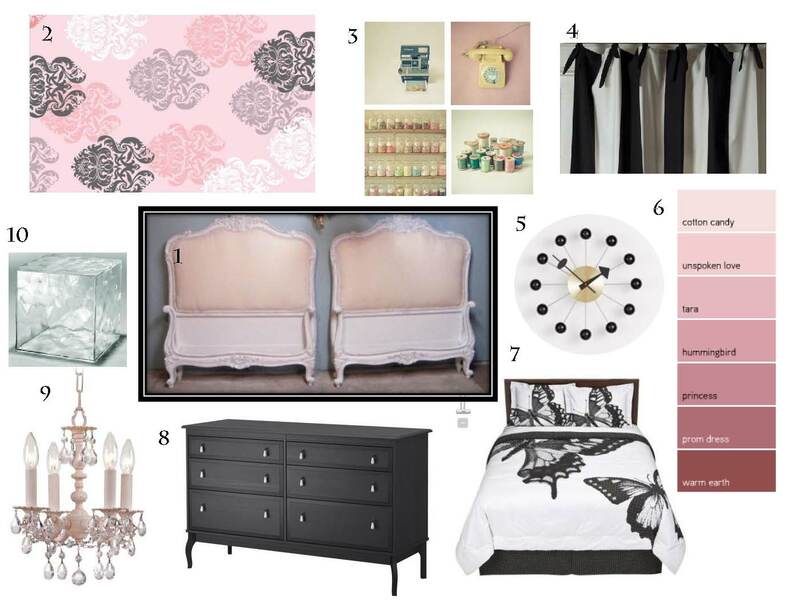 I haven’t included the obvious selections (dwellstudio, for example, has some beautiful pieces which match their bedding ensembles, and Land of Nod is consistently inspiring). 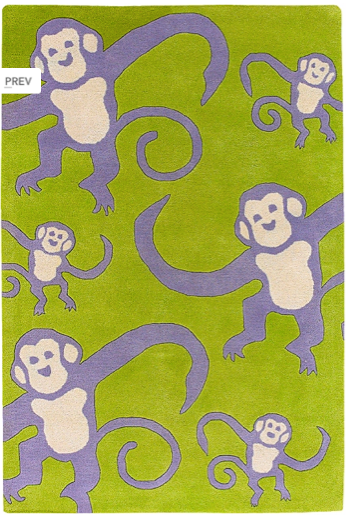 And I haven’t included my current obsession – FLOR tiles – but if you’ve missed it, you can see Fionn’s room here. Cool Kids Universe is a clearinghouse for all sorts of kids stuff, from furniture to bedding to lighting to floor coverings. 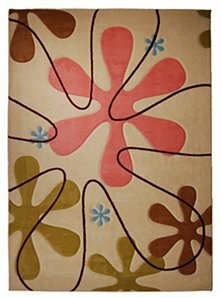 I really like the colors in this rug (below); it allows for a lot of decorating flexibility. And something about it reminds me of a Karim Rashid design with some sixties psychedelia thrown in. “Hopscotch” (below) has been covered all over the internets, so I won’t go into detail here. 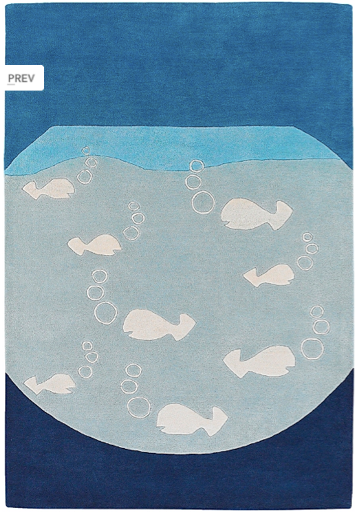 But it’s the kind of rug that grows with your child, if you decide to keep it that long, and the kind of rug that’s low-risk ($199) if you change your mind. 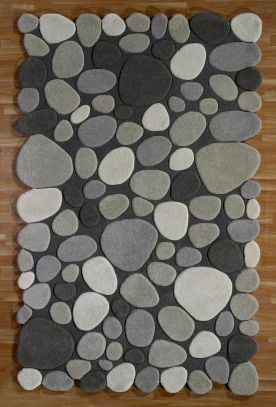 I have a thing for felted stones, as evidenced here. 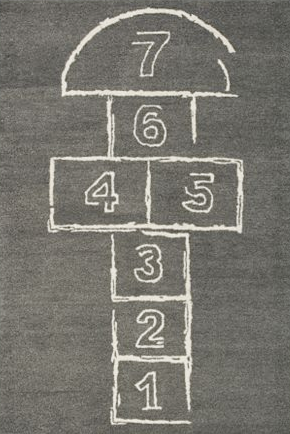 I’ve always loved the stone rug (below), and think it could be lots of fun in a kids room – with any color or style of decor. 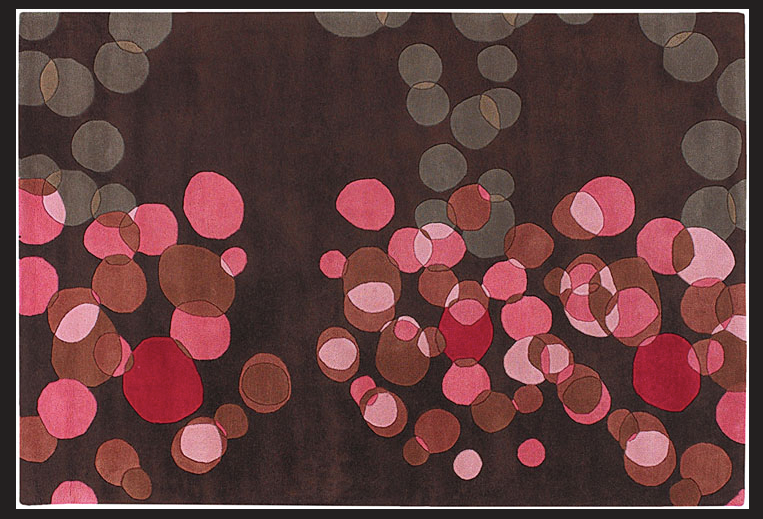 Lastly, the Parasols rug (below) is also a Chandra design, by Thomas Paul. 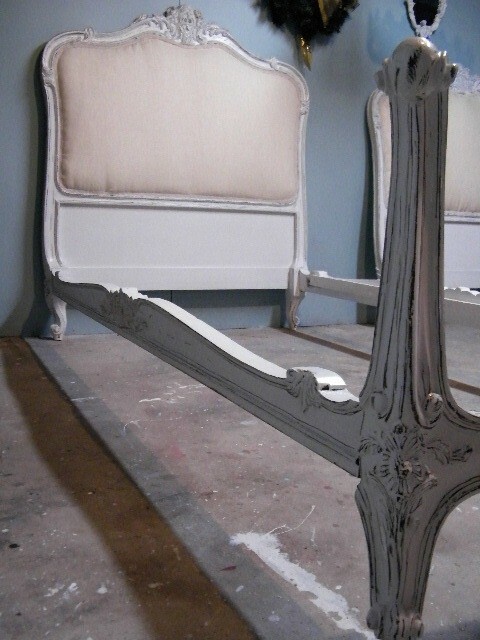 I found it for sale on a site called PillowsandThrows.com. 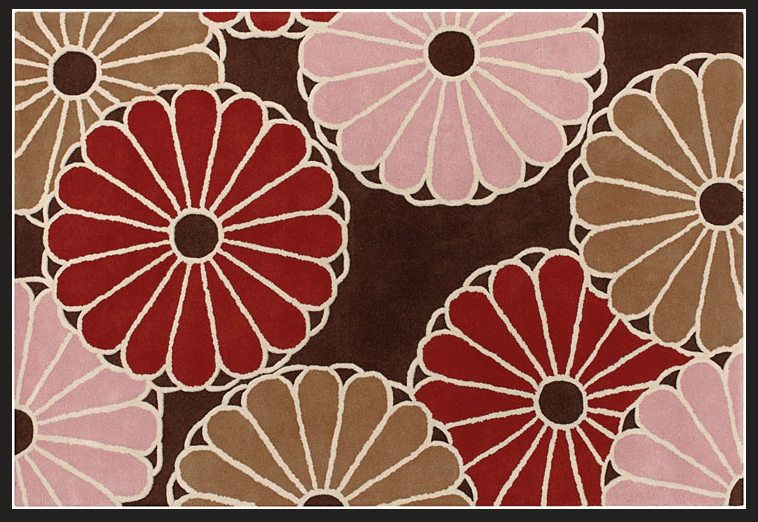 But as with any of these designs, if you like the rug, please do a comparison shopping search online to make sure you’re getting the best price. If you have a specific design question, please email me at youngonesdesign@gmail.com and I’ll do my best to answer it for you.